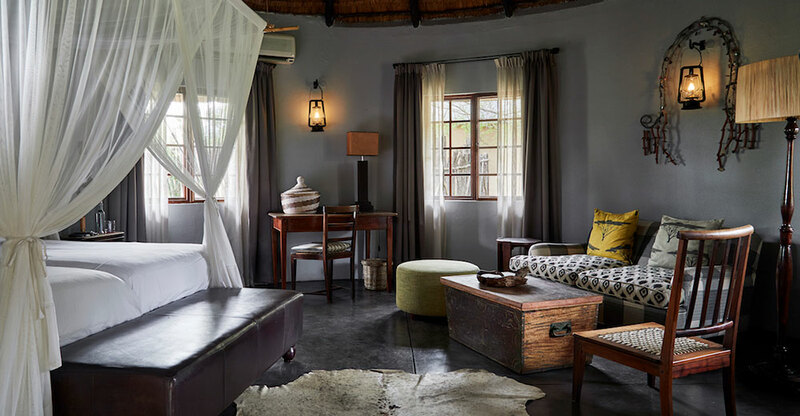 With only fifteen luxury bungalows available at Motswari Safari Lodge you can be assured that you will experience a wonderful sense of privacy and respect during your stay adding to the highly regarded feeling of exclusivity that you would expect from such a prestigious private game lodge. Motswari Game Lodge is a safari destination that focuses on relaxation, sustainable tourism, and natural living while treating guests to twice-daily safari drives and evening sundowners to the roar of the Timbavati lions. What you won’t find are spas, gyms and a curio shop on every corner – instead, you have unlimited access to thousands of acres of pristine bush, inhabited by one of the most diverse populations of big game and predators in Southern Africa. If you are interested in more secluded option, the five-bedroom Motswari’s Geiger Private Camp is available to rent out and comes as a fully catered home in the wilderness complete with terrace, pool, and views of the bush. 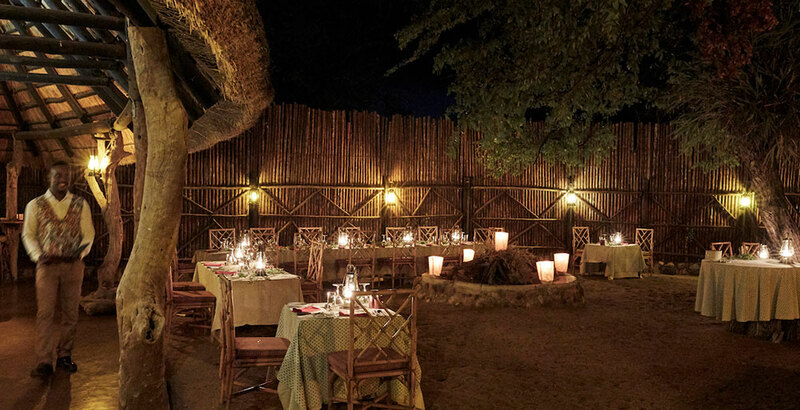 Geiger Camp is a small and intimate lodge on the Motswari reserve, which can be rented out exclusively, making it a great option for a larger family or group of friends traveling together and wanting a special safari together. All the rooms at the lodge are wonderfully equipped with all of the modern amenities. The lodge also offers a full library and interesting art gallery if guests wish to indulge in some literature and culture. Why not pass the warm hours of the day lounging at the swimming pool or find a quiet spot in the shade of their gorgeous garden area. Motswari Safari Lodge is proud to be able to provide their guests with unique dining experiences, so choose from dining on one of your scenic game drives, in your own bungalow, or in the communal boma – a traditional place for people to gather and share experiences of their safari and don’t forget to ask for one of their award-winning wines to top off the moment. From bird watching, guided game walks and even photographic safaris on offer there is truly such a wonderful selection of activities to choose from that will make your entire safari experience as adventuresome and interesting as much as you would like. The ultimate and not to be missed is the daily professional game drives, including breakfast or lunch in a scenic picnic setting or an evening drive marveling the magnificent sunset over the African bushveld and hearing the roar of the wild lions. Whatever activity you decided to experience you are guaranteed that your senses will be tickled by the sounds of the wild. Want to see Motswari as part of a trip? Enquire today to let us help build your holiday.